How Much Focus to Give a Supporting Character? I've been working on my pet project a lot over the last six months, and I thought I had most of the kinks worked out- but I think I found a problem with my most important character. The story has a very limited cast of characters- 2 MCs, 3 supporting characters, and then the background characters. All of my primary characters have arcs that are relevent to the plot and theme, and to the story of each of the MCs, and all the characters get some focus over the course of the story. The problem is that the supporting character who introduces the MCs so the plot can happen does pretty much nothing after making that introduction- he isn't present for large portions of the story because of this (he actually has the smallest presence of all the primary characters). If I didn't need him, I'd cut the character out of the story, since for the most part he wouldn't be missed at all- I can't do this though because I need him for the story to happen to begin with, as well as to help round out the theme and the world, and because of his importance to the main characters (he's responsible for a lot of the conflict and one of the MC's backstory and motivation). I would try combining him with another character, except I don't have any that I can do that with. If either of my other supporting characters got as little spotlight time as him, I don't think there would be a problem, but they don't. Is having an important character with such a small role workable? What could I do to feature him in the story more? Edit: The story starts with one of the MCs discovering the problem that drives the plot. The supporting character in question comes to help her, but is really less than interested than being responsible for solving the problem, so he introduces her to the second MC, who takes on the responsability instead (even though he doesn't want to and really shouldn't). The supporting character who introduced the MCs has a short arc that shows up in some spots during the course of the story that ends with him taking over the problem and his responsability for solving it. Aside from his appearances at the beginning and end of the story though, he really doesn't show up much. You say that this supporting character has little "screen time" but that they are a major motivator in the mind of your primary character. You also say that this character is the cause of a lot of the conflict and participates in the primary character's backstory. So this supporting character is "present" in the mind of the character, through all the struggles and recollections and is hopefully made happy by the ending of the story. A character doesn't need to be physically present, "on-screen" to be important to a tale. Consider the victim in any murder mystery. They rarely have any screen time other than the discovery of their corpse in the opening scene. Still, the story would not even exist if not for their part in it. There are no right answers, though there are conventions that are typically followed. One such convention is the 'pyramid' method. Known as the Characterization Pyramid. Then you get main supporting cast. They are usually those closest to the MC, so they tend to get a fair share of the spotlight and usually their own character arcs. (no hard and fast formula is used to show how much time, or how in depth an arc, or even how many arcs). Then you get your supporting cast. They help, sort of, but not as much as the main supporting cast. These are most commonly the '2D' characters, though I would argue they still need to be well-rounded, you simply don't have enough screen time (or page space) to develop them too much. They almost never have an arc of their own, though it does make it quite interesting when there are supporting characters that do. At the top is your background characters. These sometimes don't even have a name, but they are very much needed to show there's a world out there. The woman at the market that always has a warm smile and a kind word for the MC. The janitor the keeps grumbling things under his breath. Their main job is to show there's a world, on basically that's it. However! Keep in mind that you, the god of this world you are creating, can do as you please. Maybe a nameless character has vital information that will drive the plot forwards. Maybe they'll give the MC(s) the motivation they need. I like using the example from Genma's Daughter (and subsequent continuations), a Fanfic based on Ranma 1/2. In it, the main character, Ranko, finds her motivation to keep on keeping on (even after her existential crisis) almost entirely because of a little girl with otherwise little to no plot importance. Ranko, an aspiring violinist, loses chunks of herself, finding out her whole life has been a lie. But she finds a passion for the violin, almost by accident. But she's incredibly gun-shy because of her past. She is asked to play an incredibly hard piece for a concert, and she finds it hard to find the will to put in the work. She's too busy trying to figure out who she is, so it's almost too much for her. But, one of her pseudo-sisters tells her the cold hard truth: there were no posters of women she could find, because no one found these women interesting enough. So Ranko thinks on that little girl, and she decides she's going to be an amazing violinist, just so that she could one day be a poster in the little girl's room; to be someone the little girl can look up to, to aspire to become. And so, a 'almost unimportant' character, because the sole driving force in motivating the main character. So. How you, the writer, choose to do this is just that: a choice. How much time you spend on each character is just that: a choice. What you need to do is find a balance. And that can only come through trial and error (and beta readers... lots and lots of beta readers). The situation you're describing reminds me very much of Bishop Myriel in Victor Hugo's Les Misérables: had he not granted Jean Valjean hospitality, had he not drawn him to a new path, we would never have had the reformed Valjean. Thus, Myriel's influence on the story is crucial and transformative. However, once Myriel's part in the story is done, he walks out of it, never to be seen again. Only his silver candlesticks continue making appearances, as a reminder. So yes, having an important character in a small role that get the ball rolling is absolutely workable. And absolutely fine. There's no need for more involvement. Just give an occasional reminder of the influence that character has had, and it is perfectly enough. I need him for the story to happen to begin with, as well as to help round out the theme and the world, and because of his importance to the main characters. Why is this character so important for the story, since it depends on him to begin? Does he not have any kind of attachment to the plot? Did he simply start it and decide he doesn't care? He probably has some motivation to either stop the conflict or keep it going, since he started it in the first place. If he doesn't right now, are you sure you can't add this detail? This character is also important for the MCs. Why? If this importance is of a good kind (say, like Sam is important to Frodo), than this character can be a part of the adventuring party. Again, why is he doing this? He should have a motivation to go out there and do things. If the character is important for the MCs in a bad way (as Gollum was important to Frodo), you can have them chase and/or fight him and through that show a lot of character motivation and growth. Taking Gollum as an example again, he does not have a lot of page space and no POV chapters, but he still has an effective character arc. @Henry Taylor also mentioned the important absent character, which can be a number of things, from a manipulator in the shadows (can't thing of good example now) to a dead loved one (Watchmen's Comedian). This kind of character does not get their growth arc, but they can act as motivators to other characters. As a last note, you mentioned your character plays an important role in exploring the theme and world of the story. This is an excellent opportunity to insert a couple scenes or even a subplot into the story. Use those to give your character something to do, motivations and moments of growth. I think a story can work fine this way. Cinderella is helped by a fairy godmother at her crisis point in the story, that pretty much appears once in the story. Many mystery / adventure / mission stories are instigated by characters in this way, the people bringing the case are introductory props never seen until the end when they act as amazed props for our fine hero to explain what happened. Sometimes, not even that: The story ends in a life and death struggle for the hero in which the definitely bad villain is dropped screaming into an industrial cheese shredder. Think of 007, his boss gives him a case (he would not have had otherwise) and the show ends with a dead villain and a roll in the hay for the successful 007. It might help matters along if your introductory prop is clearly incapable of joining in the mission themselves. A Not Their Job situation, as in 007, or a PI tale, or a princess or elderly priest for a Knight's quest, an old dying man confessing his sins to the young and vigorous hero, a distraught mother of a kidnapped child. The hero's daughter kidnapped (Taken). Most of Die Hard does not show the hero's motivating characters from the beginning. In The Equalizer, Denzel Washington is a retired CIA operative motivated to kill a few dozen mobsters by his protective feelings for a young prostitute that gets beaten severely by her bosses. She appears in Act I, and for a few minutes at the end of the film when Denzel delivers her freedom. I think you can make this work, it is really just your mechanics of motivation to work on. Give the readers a good reason to expect the motivating character is not going to be appearing on this quest and adventure, because they are not adventurers, detectives, or fearless warriors. Or they are aged, sickly, disabled, or even already dead for some reason (the quest is due to their last wishes to set something right, or stop an evil they could not stop themselves, OR they get killed early on, like luke skywalkers mentor, Obi Wan Kenobe). Unlike the other characters, he doesn't end up being "transformed," but your story couldn't begin without him. So give him the importance he deserves (but not more). When does that supporting character introduce the protagonists? If it's in the first sentence, there isn't a problem. But if the reader begins to care for the secondary character only to have to switch to another protagnoist in the second chapter or later, you might have a problem – or a prologue (e.g. if the murderer is introduced by his first victim). Why do you need the secondary character to introduce the protagonists? Can the beginning only be told from this secondary character's perspective? Or does it provide unique information or a special thrill (as in the murder example above)? If the view of this character is indispensable to the story or very exciting, then there is no problem. If, on the other hand, you could have told the same beginning from the protagonists' own view or that of any other character without losing any information or suspense, then that viewpoint character is superfluous. Not the answer you're looking for? 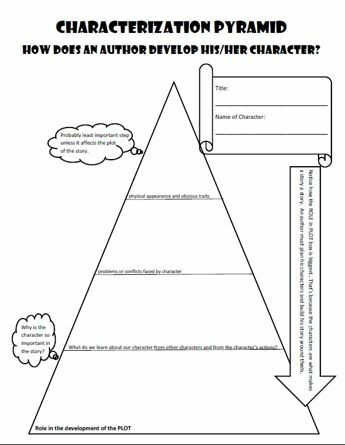 Browse other questions tagged characters plot planning or ask your own question. Character Development - How much is too much? My cool character is doing nothing for the plot. How do I deal with him? how can I make my main character interesting and not bland? Is it bad storytelling to have things happen by complete chance? How to introduce a nameless, mysterious character in limited third person? How best to have a conversation a character does not overhear?